TheNbaZone.com | Download 2014 NBA Finals Game 1 HD : Spurs vs Heat | Tim Duncan scored 21 points and had 10 rebounds to lead the Spurs to a 110–95 win in Game 1. The game featured the AT&T Center's malfunctioning air-conditioning system, which caused temperatures in the arena to reach up to 90°F (32°C) in the second half. 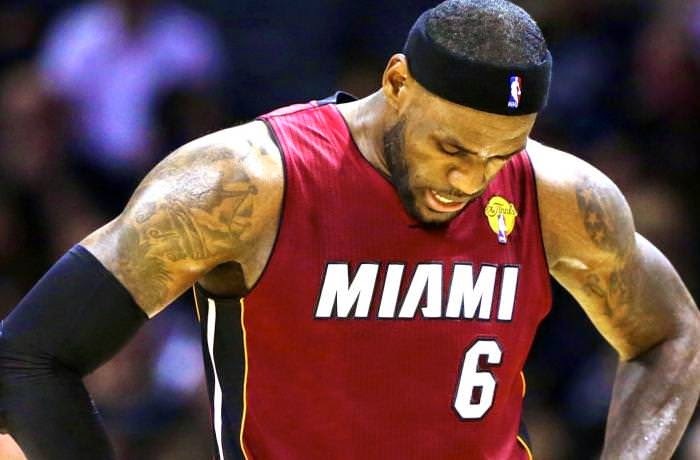 The conditions caused Miami's LeBron James to dehydrate and suffer cramps, limiting him to just five minutes of playing time in the fourth quarter. With James on the bench, San Antonio went on a 15–4 run, and outscored the Heat 36–17 in the fourth quarter. James, who also suffered cramps in the finals two years ago, finished the game with 25 points while playing only 33 minutes. Manu Ginobili had 16 points and 11 assists and Tony Parker contributed 19 points and eight assists for the Spurs, who shot 59 percent for the game.